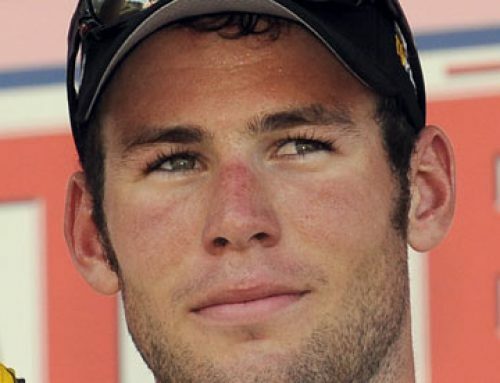 Cavendish gets his Giro stage win. Petacchi miscalculates. Home/Alessandro Petacchi, Giro d'Italia, Mark Cavendish/Cavendish gets his Giro stage win. Petacchi miscalculates. 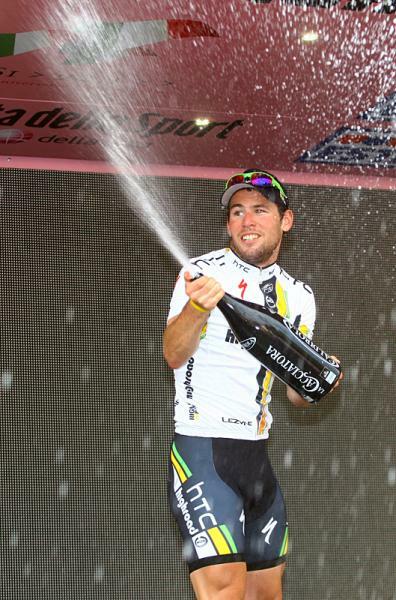 Who sprays champagne better than Mark Cavendish? 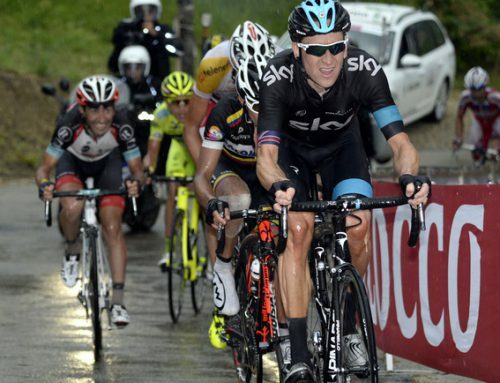 He worked the big bottle of Italian bubbly like a fire-hose after winning the Giro’s stage 10 into Teramo. It was a true “grand tour” spray. Cavendish grabbed Petacchi’s wheel and didn’t let go until it was time to kill him. A tactical error by the experienced Italian sprinter, who gave his rival an even better lead-out than HTC bulldog Mark Renshaw. At the finish line, it was Cavendish, arms raised in victory and flashing Hollywood- white teeth while the rest grimaced with defeat. Francisco Ventoso (Movistar) placed second and Petacchi held on for third. “The team was incredible today, we did all the work and the finish was perfect,” said Cavendish after his first grand tour win this season. “I decided it was better to be behind Petacchi because I know I can pass him when I wanted to. I followed him and then opened my sprint with 150 metes to go.” Sounds like confidence talking. The 159k stage from Termoli to Teramo is what the Giro calls pianeggiante, meaning flat and that means you can also tack on fast. It’s a guaranteed sprint finish and even though the last 100 meters nose up slightly, it’s only 4%. Nothing a man with a bullet train can’t handle. The day’s break featured Radio Shack kamikaze Fumiyuki Beppu (RadioShack), Pierre Cazaux (Euskaltel-Euskadi) and Yuriy Krivtsov (AG2R). But those guys know how to study a race book and the handwriting was always on the wall. They hit that wall about 11k from the finish. 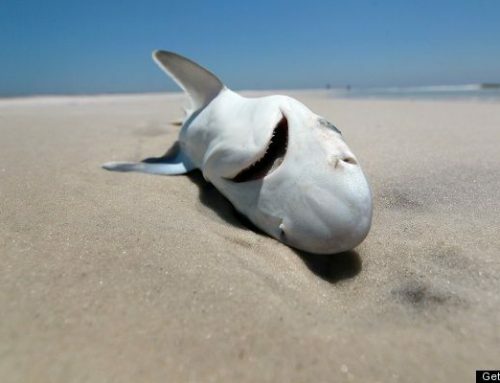 Day done, starting thinking about the pasta dinner. The only other threat to Cavendish and company was David Millar (Garmin-Cervelo). He’s got the legs and he’s gonna use them. With just over 2.5 kilometers to go, he shot out of the peloton, did his time trial thing and held a gap of a few seconds. HTC-Highroad caught him at the red kite and lit the fuses for the fireworks in Teramo. 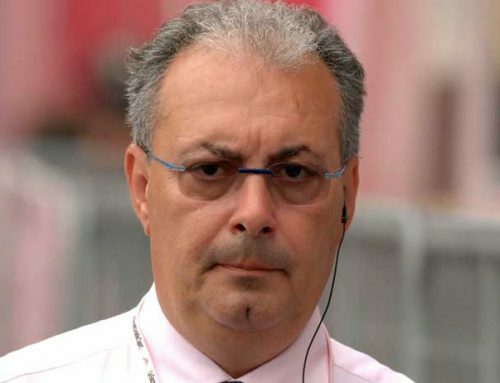 Speaking of rockets and explosions, we didn’t see anything from Danilo di Luca today. While the race passed near his birthplace in Spoltore and his house in Pescara, the Katusha rider made no flashy attacks for the camera. The Russian Global Cycling Shindig had a quiet day. At the finish, Cavendish did the same thing Alberto Contador did Sunday on the Etna volcano: he demonstrated his superiority. That also goes for the virtuoso work with the champagne bottle.